Wanna discover the treasures of Bosnia? On this text, you will find out what is the best of Bosnia and Herzegovina tourism. 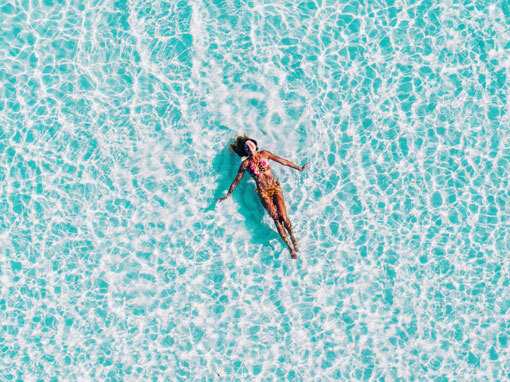 With the information and inspiration below we are sure you will be able to plan your vacation the best way! What to visit in Bosnia and Herzegovina? Bosnia also has a National Park. Take a look before booking your trip. 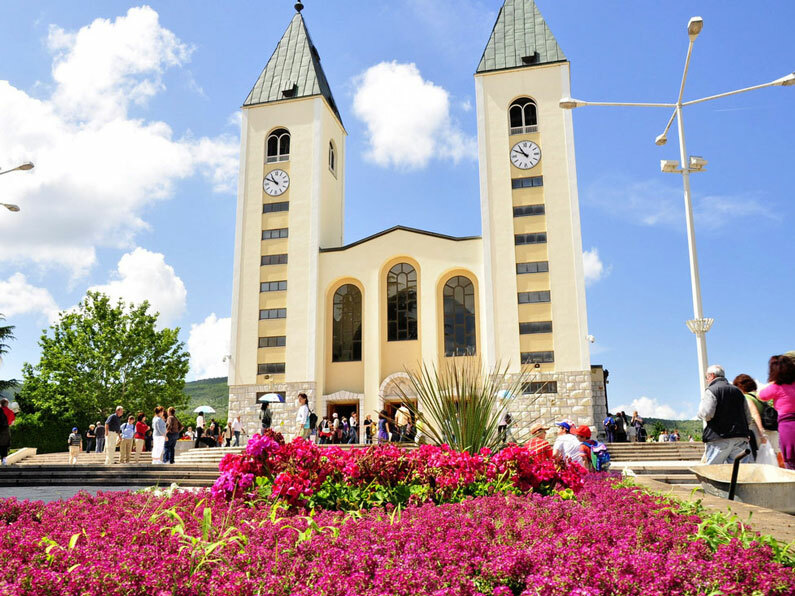 Medjugorje is definitely the country and the region’s religious center. Before traveling to Bosnia and Herzegovina, make sure to know the basics about the country. What should I visit to get the best Bosnia and Herzegovina tourism experience? 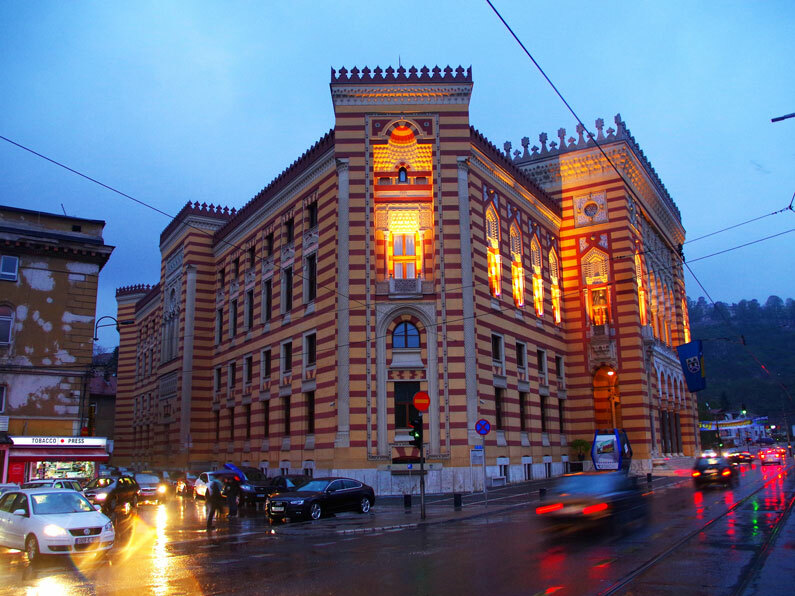 Sarajevo is the capital of the country and definitely worth a visit. The city is the greatest meeting point of different ethnic groups and religions that make up the country. In Sarajevo, Bosnians, Croats, and Serbs, as well as Catholics and Muslims, live in harmony. The local gastronomy is one of the best in the region and different cultures are everywhere. Besides the capital, one of the most visited cities in the country is Mostar. The city became world famous during the Bosnian war (1992-1995). 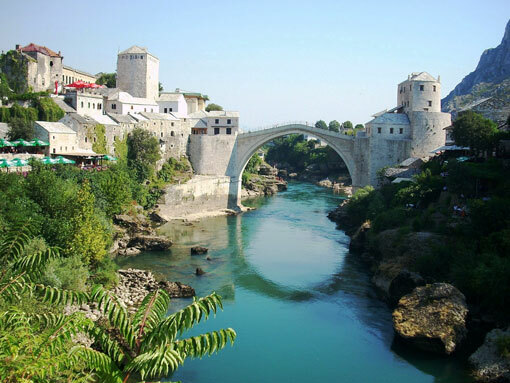 Mostar is the cultural capital and center of the Herzegovina region and receives thousands of tourists every year. 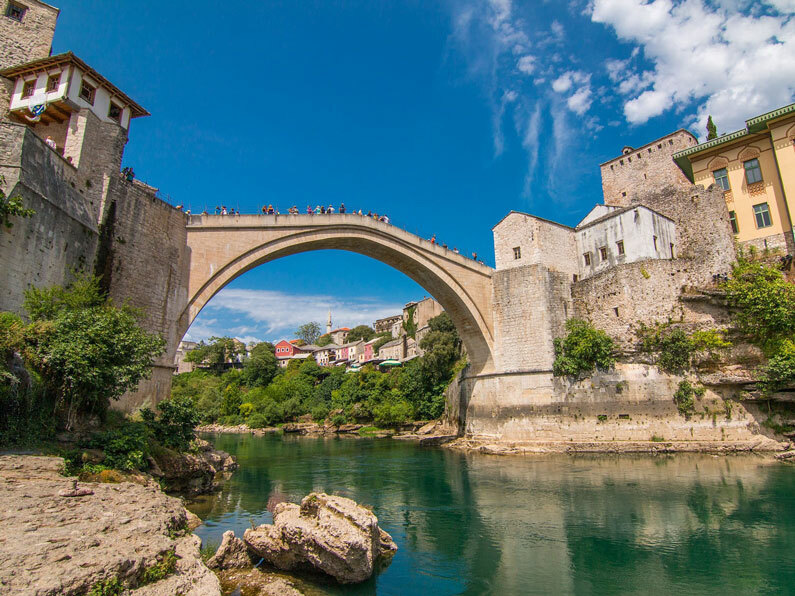 What attracts so many people is the famous bridge, Stari Most (Old Bridge), which is in the old center of the city. The bridge is 21 meters high. And during the summer, it is possible to watch a select group of divers who risk jumping from the top of the old bridge. The whole old center of Mostar is a treat for lovers of history and different cultures. It is a mixture of Turkey, Bosnia, Serbia, and Croatia. Muslim and Catholic religions are also present. From architecture to souvenirs and handicrafts the mix is everywhere. Local restaurants are also a great choice if you appreciate local cuisine and new flavors. Another attraction in the region of Mostar is the stunning Dervish Monastery, Tekke Blagaj, over 600 years old, nestled on a cliff over 200 meters high. The village of Blagaj is on the edge of the plain of Bišće and is a mixture of urban and rural. The monastery has elements of Ottoman architecture and Mediterranean style. And is considered a national monument. Bosnia is also a good place for nature lovers. Sutjeska National Park is the oldest national park in the country. The highest peak is Maglić, with more than 2.000m, on the border with Montenegro. 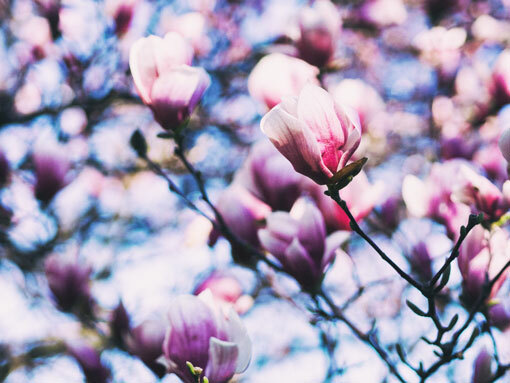 The whole region offers a great diversity of fauna and flora. There are more than 300 birds besides bears, boars, and deer, that have been spotted over the years. One of the most common activities is hiking. There are trails of up to 8 hours and 22km for the more experienced. 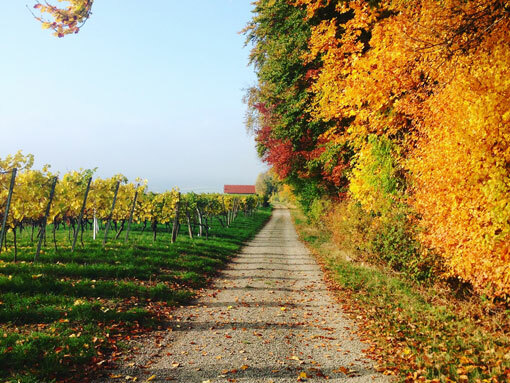 For those who are in good shape, the bike trails have a total of 48km. Renting bicycles is possible on the spot, at the Info Center in Tjentište, where the trail begins. Rafting on the Tara River is also an option. For the more religious the city of Međugorje is a must stop. People believe that on June 24, 1981, the Virgin Mary appeared for six local children. From then on the town became a popular place for Catholic pilgrimages in honor of Our Lady of Međugorje. In the central church of St. James it is possible to attend masses in several languages. 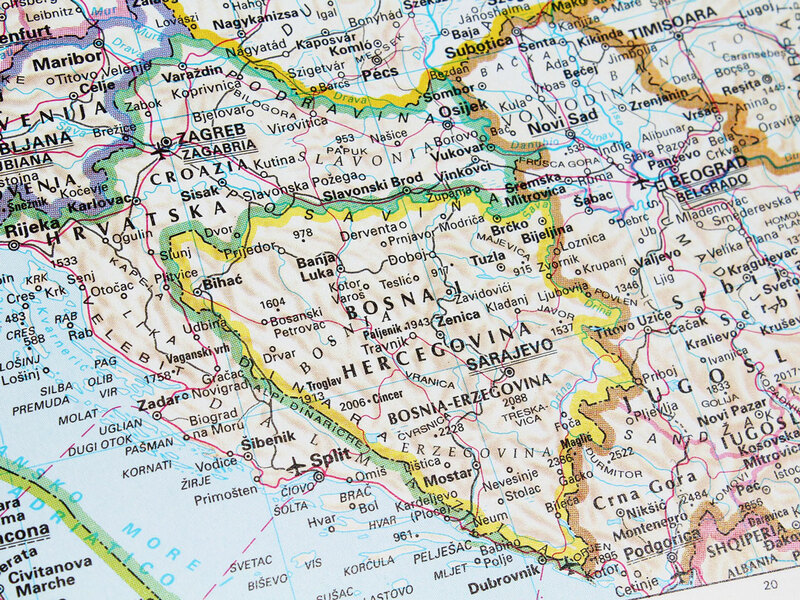 Bosnia and Herzegovina is bordered to the north and west by Croatia. From east by Serbia; Montenegro in the southeast and by the Adriatic Sea to the south. Although the country is very small it manages to have an exit to the sea. It’s a 20km long coastline, near the town of Neum. 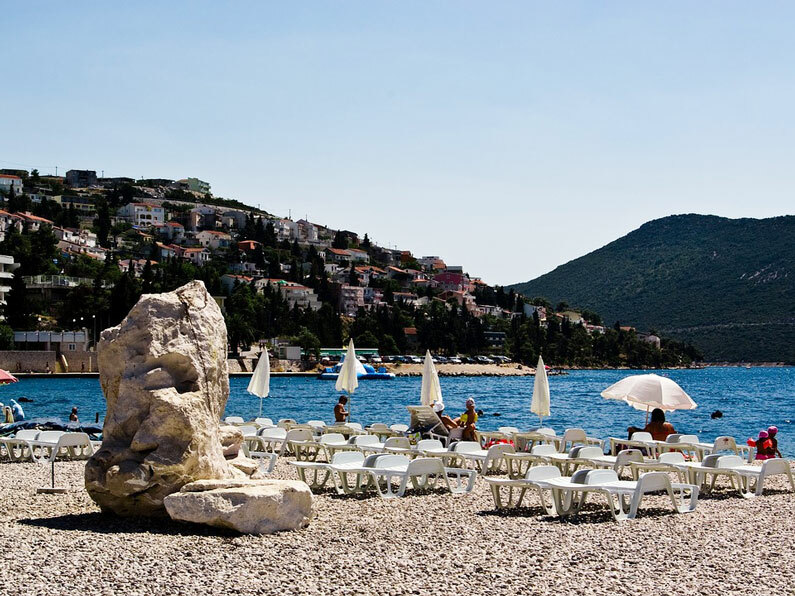 Neum is not a typical seaside town. There are steep hills, sandy beaches and large hotel chains in the small space of 20km. Important to highlight that the prices are super attractive. 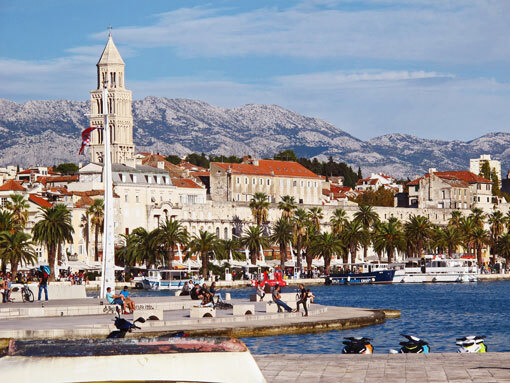 Especially considering the neighbor country, Croatia, the coast of Bosnia is pretty cheap. Besides to the coastal area, the countryside, behind the city hides a rich archaeological history. And a pristine wilderness that is starting to receive agricultural tourism. Bosnia and Herzegovina has a very small coast, about 7 kilometers (4 miles). And the climate is the Mediterranean near the sea with mild temperatures. Rain is common in all seasons except summer. On the mountains and around Sarajevo region, it gets more continental, because of altitude. 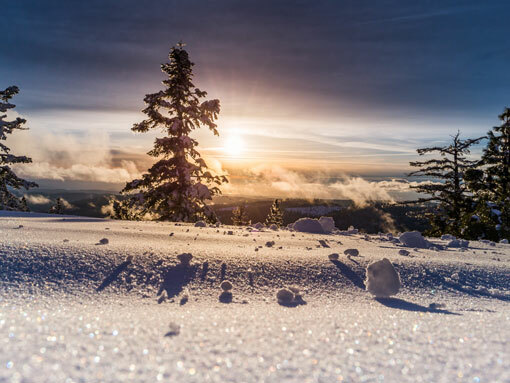 During winter can be very cold, with low temperatures and even snow in most of Bosnia. While in the region of Mostar there is mainly only wind with an average temperature in January of 5 °C (41 °F) and hot summers, the average in July is 25 °C (77 °F). Around Medjugorje, during summer, due to the location a bit isolated from the sea, hot days are possible, with peaks of 40 °C (104 °F). Oh, talk about Bosnian food! If you could describe in only one word I’m sure it would be: delicious! 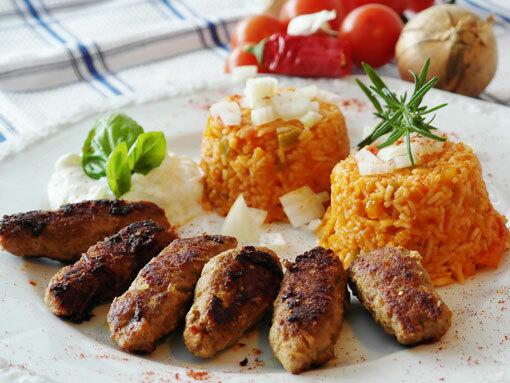 Bosnian cuisine uses many spices, but usually in moderate quantities. This makes the food just perfect, not too salty, not too spicy, just great. Some of the most used ingredients are tomatoes, potatoes, onions, garlic, bell peppers, cucumbers, carrots, cabbage, mushrooms, spinach, dried and fresh beans, plums, milk, paprika, pavlaka (a kind of sour cream), and kajmak. Typical meat dishes include primarily beef and lamb. Since Bosnia has a big number of Muslim citizens pork meat is almost not used. Some local specialties are ćevapi, common in the whole Balkan region, but in Bosnia, you will definitely try the best ones. Cevapi are ground beef meet rolled like small fingers, normally eaten with lots of onion, kajmak, and lepinja (bread). Burek, this is getting boring, but I must admit Bosnia also has the best burek in the region. Burek is a meat-filled flaky pastry, traditionally rolled in a spiral and cut into sections for serving. The same dish filled with cottage cheese is called sirnica, one with spinach and cheese zeljanica, one with squash/zucchini called tikvanica, and one with potatoes krompiruša. All these varieties are generically referred to as pita (Bosnian word for “pie”). 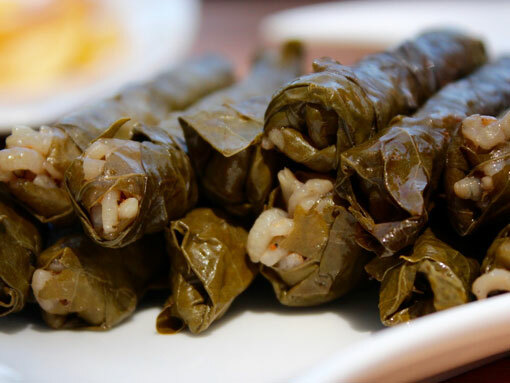 Dolma, similar to sarma, stuffed grape leaves with rice. Pilav (pilaf) rice cooked in a seasoned broth. 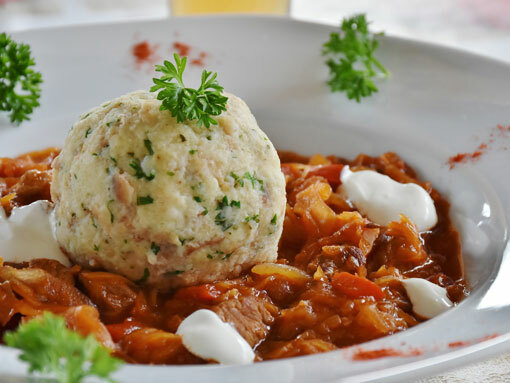 Gulaš (goulash), a soup of meat and vegetables, seasoned with paprika and other spices, very common in Hungary. Pljeskavica, very similar to a hamburger in shape, but tastier, normally eaten with french fries and ajvar. Ajvar is a pepper-based condiment made principally from red bell peppers. It may also contain garlic, eggplant and chili peppers. Is delicious, very common and not necessarily hot. Sogan-Dolma – onions stuffed with minced meat. Ćufte, meatballs. 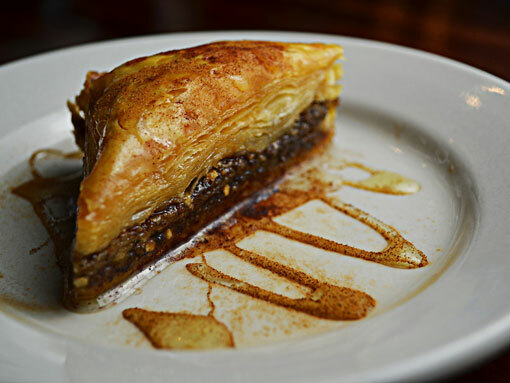 The traditional desserts from Bosnia and Herzegovina are Baklava, flaky pastry with a filling of nuts, drenched in sugar syrup or honey -very, very good, a must for sweet lovers. Kadaif, cheese pastry soaked in sweet, sugar-based syrup. Ružice, similar to baklava, but baked in a small roll with raisins. Tufahije, whole stewed apple stuffed with a walnut filling. Tulumba, deep-fried dough sweetened with syrup. The most common drinks in Bosnia are black coffee, Turkish coffee, beers, wine, and slivovitz – which is like the Croatian rakija, a very high alcoholic plum (sljiva) spirit. Bosnia and Herzegovina, informally called only Bosnia, is a country located on the European continent. It is part of the Balkan region and it was part of Yugoslavia, in the past. The main cities to visit to get the best Bosnia and Herzegovina tourism experience are Sarajevo, Mostar, Medjugorje, Neum, and Blagaj. 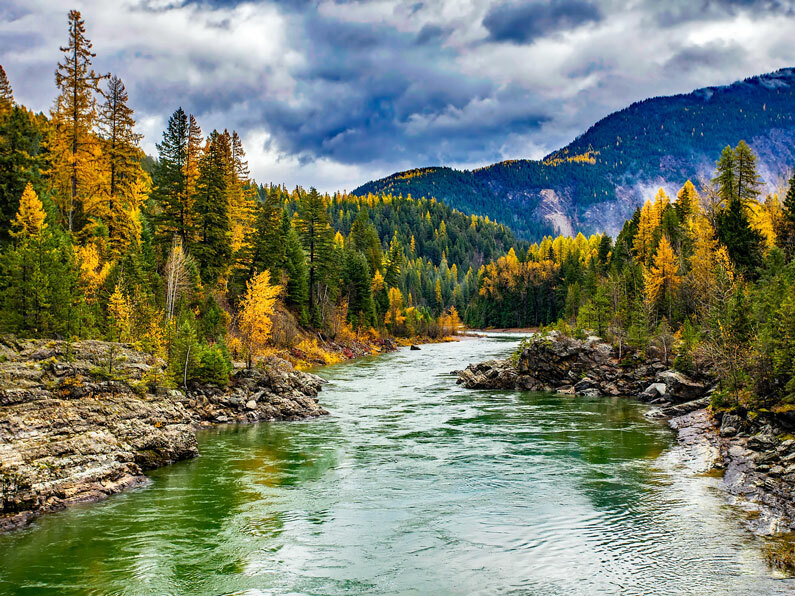 The country is known for its abundant nature and also by its rich cultural heritage, inherited from six historical civilizations. Bosnia’s cuisine and music are also very unique because of the mixture and influence of all these populations. Oficial language – The Bosnian constitution does not identify any language as official language. Therefore the Croatian, Serbian and Bosnian are recognized as official languages of equal importance. The three languages are mutually intelligible and at the time of the former Yugoslavia were collectively known as the Serbo-Croatian language; common to all countries of the former bloc. Local currency – The national currency is the Convertible Mark (KM), (Euro-pegged) controlled by the currency board. 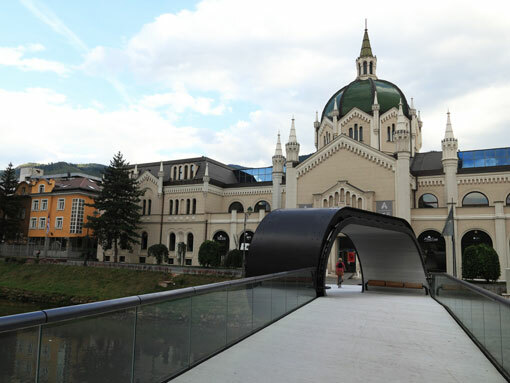 Distances from the main cities of the region: Sarajevo – Ljubljana, Slovenia, (6h30); Sarajevo – Zagreb, Croatia, (5h20); Sarajevo – Mostar (2h15); Sarajevo – Kotor, Montenegro (5 hours); Sarajevo – Dubrovnik, Croatia (4h20); Mostar – Dubrovnik (2h30). Religion – Islam is the majority faith in Bosnia and Herzegovina. Followed by Christians; of these, the Serbian Orthodox Church makes up the largest group. Followed by the Roman Catholic Church.